The multi-purpose Sardar Sarovar Dam has been built on the sacred Narmada river in Central India, in the state of Gujarat. It is part of the larger Narmada Valley Development Plan, that aims to produce electricity and provide irrigation and drinking water. The SSD is one of the most controversial dam projects in the world, because of the massive displacement it entails but also because of the fraudulent measures taken to impose it on the local population. 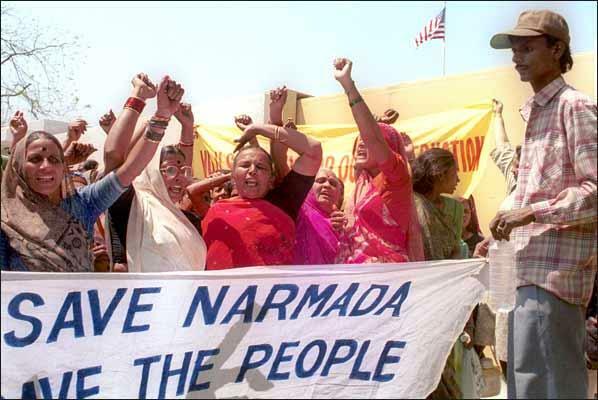 A grassroots movement started mobilizing people from the area, and later spread all over the valley; the Narmada Bachao Andolan (Save the Narmada Valley) has led for 30 years now the struggle and non-violent resistance in the valley. The dam was initially funded by the World Bank but after the massive mobilization led by NBA and the affected people, the WB set up a task force to investigate the pros and contras. The Morse report which came out of the field visits demonstrated the lack of compliance of resettlement national laws and ILO principles by the dam authorities. Therefore, the WB withdrew from the project for the first time in its history, which proved the strength of the social movements and non violence resistance. However, the Indian state did not give up the project and replaced international funds with national resources. The dam has eventually been built and people are still left without proper compensation and rehabilitation. In three decades of struggle, NBA struggle has succeeded in getting 14,000 Adivasis, Dalit farmers and their families land and due R&R especially in Gujarat and Maharashtra. But in Madhya Pradesh, the situation is different. Only 40 to 50 displaced families have been allotted land. Even today, 40,000 families live in the submergence zone. The Madhya Pradesh government has constantly fudged the backwater level data and thereby kept many people out of the numbers of Project Affected People, thereby denying them their due R&R share – initially 4374 families and then another 15,900 families. The NBA has challenged the government’s false affidavits on the question of complete Rehabilitation & Resettlement and exposed the massive corruption involved in the process. Through its petition, the Madhya Pradesh High Court constituted a Commission of Enquiry under Justice S S Jha (referred as Jha Commission). The Jha Commission submitted its report in 2016 after nearly 7 years of detailed hearings into cases of corruption involving influential people; the fraud is likely to be around the tune of 1000 Crores. The Jha Commission report is however denied to NBA and any other citizen by the state of Madhya Pradesh to hide inconvenient truths. Project Details Height (foundation) 163 m (535 ft) Length1,210 m (3,970 ft) Generation capacity (planned): 1,450MW The project will irrigate more than 18,000 km2 (6,900 sq mi), most of it in drought prone areas of Kutch and Saurashtra. The dams main power plant houses six 200 MW Francis pump-turbines to generate electricity and afford a pumped-storage capability. Additionally, a power plant on the intake for the main canal contains five 50 MW Kaplan turbine-generators. The total Culturable Command Area of the project is 1845655 ha. - A 36 day long solidarity march from from Madhya Pradesh to the Sardar Sarovar dam site. 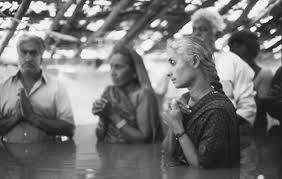 - Medha Patkar undertook a 22 day fast that almost took her life. Other land sliding, methan gasses emission, rotting of vegetal coverage in standing waters. Other Families and community are scattered and lose their sense of belonging and identity. Why? Explain briefly. It was a great achievement to make the World Bank withdraw its backing to the project and review its criteria for project funding. However, the Indian government has taken over the project and rehabilitation measures have not been properly applied. The impacts on the people are already there, and it's hard to find any possible compensation to them.